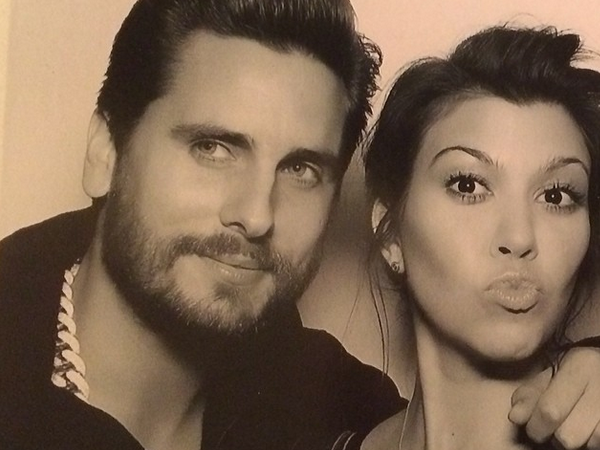 Kourtney Kardashian is planning to tie the knot with her long-term partner Scott Disick and she wants her wedding to be just as "spectacular" as her sister Kim Kardashian and Kanye West's big day. Kourtney Kardashian wants her wedding to be just as "spectacular" as her sister Kim Kardashian's big day. The reality TV star is reportedly planning to tie the knot with her partner Scott Disick, but she's worried her ceremony will be overshadowed by Kim and Kanye West's nuptials this summer. A source told RadarOnline: "Kourtney has already seen Kim have an over-the-top wedding with Kris Humphries and now she's watching her sister turn her Kanye West date into another big affair and she's getting mad that her own wedding is going to be overshadowed. "She wants her wedding to be just as spectacular as Kim's." Kourtney and Scott - who have Mason (4) and one-year-old daughter Penelope together - are reportedly keen to wed in Mexico, while Kim (33) and Kanye (36) who have eight-month-old daughter North together, are getting hitched in Paris, France. The source added: "For a really long time Kourtney has felt like she is living in Kim's shadow but she doesn't want her wedding to be second to Kim's third trip down the aisle. Everyone knows that Kim is the most popular sister and Kourtney really wanted her wedding to be special, so she's not planning to let Kim steal her spotlight now." Meanwhile, the couple - who have been together for over seven years - are planning an intimate wedding and will splash out $100,000 (R1 077 000) on round trip private jet flights for their loved ones, as well as $30,000 (R 323 100) a night on accommodation.